You’ll also notice our 2013 Angie’s List Super Service award, which we are very proud of. Of course, we would not have this award without the approval of our amazing Radnor painting customers, as well as our incredible crew of Radnor painters! We’ve been providing Radnor and the surrounding area with their painting and patching needs since 2011. 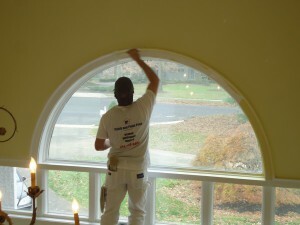 Together, our Radnor painters have over 80 years of combined experience in the field. Our passion for painting is evident in our work! 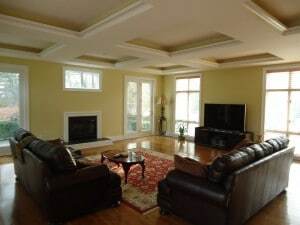 As the go-to painters in Radnor, we have a lot of standards to uphold. Rest assured this doesn’t phase us, in fact it only strengthens our desire to do our best every single time. Whether it’s simple patch work or a full on paint job, we will gladly help you at your Radnor home! To be the best painters in Radnor, you’ve got to go the extra mile. We take care of all the little odd jobs, like moving furniture and protecting it from paint, before beginning our work. This of course, is at no extra charge! As fellow residents of Radnor and the surrounding area, you’re our neighbor. Our Radnor painter crew will treat you as such! If none of these services seems appealing to you, please give us a call anyway. Whatever the issue at your Radnor home or business, we want to help! We’ll do our best to see you through this, after all helping is what we love to do first and foremost. When you’re ready for the most reliable Radnor painters who have a proven track record, get in touch by calling 484-483-3468! And don’t forget about our free estimate feature on our website! I have used this business on twice. I am very meticulous but these people made me look like a picker compared to their attention to detail. Ryan is very friendly as are all of his worker. They go out of their way to make sure that you are totally satisfied. I highly recommend using this service and their prices are extremely reasonable. Do it! This company, run by Ryan, is local, which is good. However, most importantly, the patchers and painters (Andrew, Josh and Brandon in my case) are extremely skilled and meticulous. A very fair price and a beautiful job. My shabby old kitchen looks great! I could not be happier and would recommend them unreservedly.